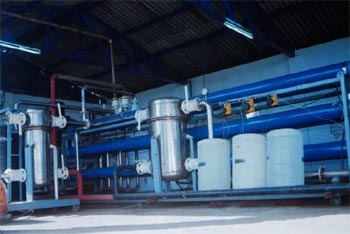 Konark RO System provide economical say to obtain pure water from brackish water. Reverse Osmosis, the membrane technology, removes most of the dissolved impurities, organic and toxic heavy metal ions, bacteria and viruses. Salt rejection upto 98% depending upon feed water composition. Automatic feed shut-off valve on request. Full Control Panel instrumentation on request. Product recovery ranges from 40 to 70% depending upon feed water composition. Automatic Shut-down system for protection of membrances.